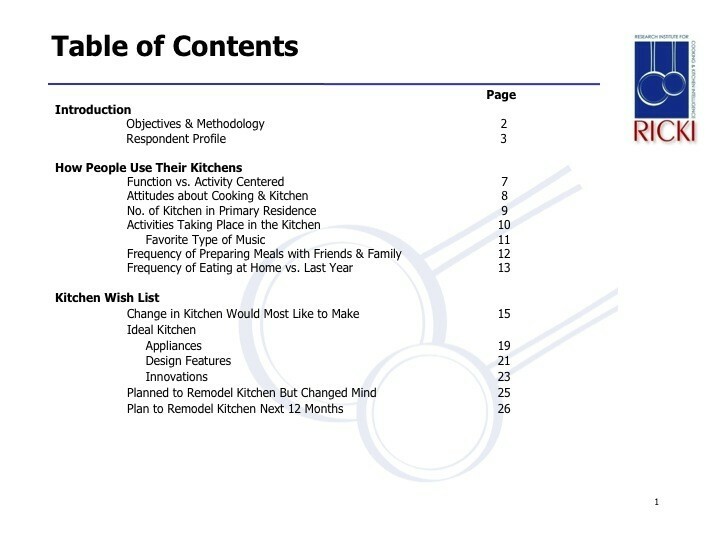 Study explores kitchen attitudes and activities, what is desired in the ideal kitchen, kitchen remodeling activities and sources used for remodeling ideas. 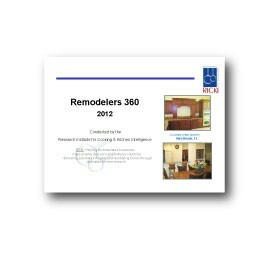 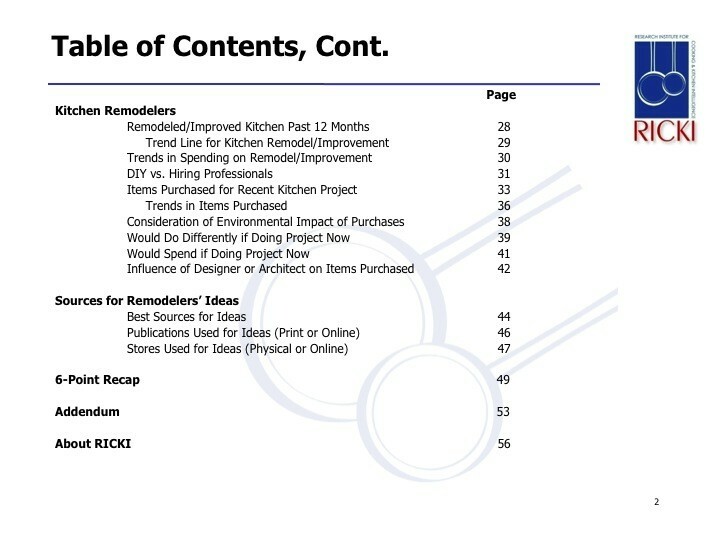 This study examines how consumers use their kitchens, attitudes towards their kitchens, what they want in their ideal kitchen, remodeling activities and products purchased, and sources for remodeling ideas. 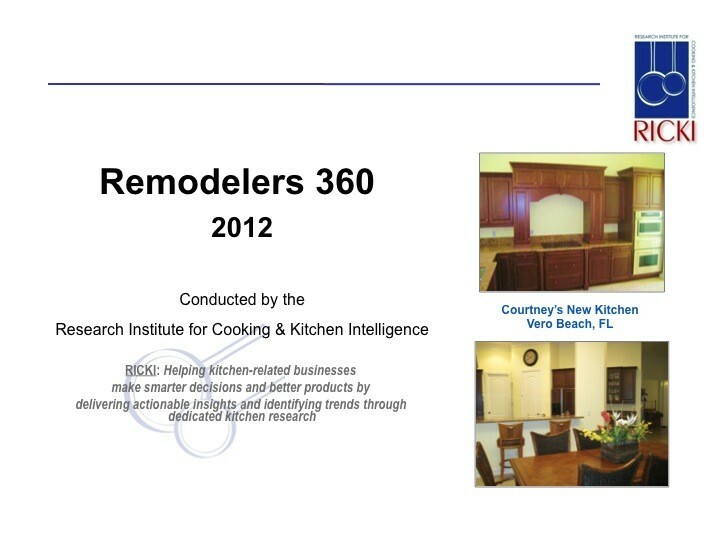 This 56-page report in based on an online survey conducted among 1,436 U.S. adults and was completed in 2012.